Leverkusen - Considering Bayer 04 Leverkusen had 16 attempts on goal during their 1-0 win away to FC Schalke 04, and that they also came away ruing a wealth of missed clear-cut chances, it would be easy to assume that their incisive attacking play - if not their finishing - had been essential to victory. Yet as entertaining as the skills and movement of Karim Bellarabi, Heung-Min Son and Hakan Calhanoglu were in the final third, the mood in the Leverkusen camp come the final whistle was of immense satisfaction with their defensive display. “Schalke are a strong home side but we defended well,” said Werkself coach Roger Schmidt. “Over the past few weeks we’ve shown that we’ve become more stable. We’re defending superbly and that’s why we’re conceding fewer goals. That’s the foundation.” The triumph was a decisive one, putting a six-point buffer between themselves and Schalke as the race for the UEFA Champions League qualifying places gathers pace. And if recent form is any indication, Leverkusen will be difficult to overtake on the final straight. 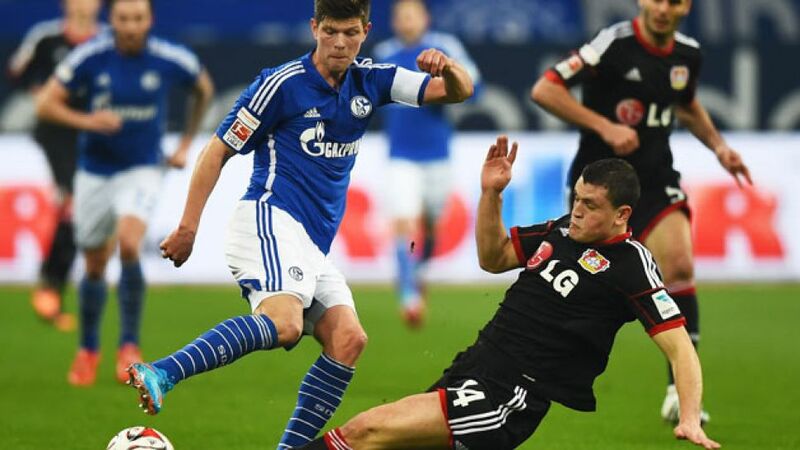 The victory at the Veltins Arena on Saturday evening was Bayer’s fourth consecutive league win, a run of games in which they have also kept four clean sheets. To put that into perspective, the last time Leverkusen managed a similar run was back in April 2011. It is no mere lucky streak, but part of a specific plan devised by Schmidt and the result of countless hours on the training pitch. Since the turn of the year, Leverkusen have prevented their opponents from scoring in six out of nine Bundesliga games and they have only conceded nine in 2015 - five of which came in a single outing against VfL Wolfsburg on Matchday 21. That blip aside, though, the trend is clear to see, especially when compared to the 20 goals the team let in prior to the winter break. Several members of the Leverkusen team confirmed as much in the wake of the Schalke win “The key was that we defended very well,” said midfielder Gonzalo Castro, while goalkeeper Bernd Leno called their efforts in keeping Schalke at bay “the basis of our success”. With Leverkusen now on a sound defensive footing to complement the enviable attacking talents in the squad, the only thing missing, Schmidt acknowledged, is more clinical finishing: "If we could put away our chances every so often then everything would be perfect." Already formidable opponents, that would make Leverkusen truly fearsome ones.